The One Hair & Nail Salon in Milton, Ontario welcomes you to experience first-rate hair and nail care. Our salon and spa is composed of a team of highly trained professionals who take pride in their work while offering clients a relaxing and rejuvenating experience. Your beauty, comfort, and satisfaction are our top priorities. Our main focus when you walk through our doors becomes your experience with our team. A busy schedule with no time to treat yourself shouldn't give you a bad hair day. 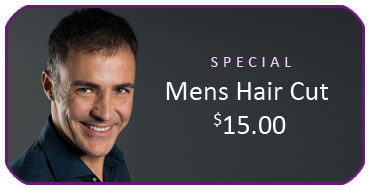 Our salon welcomes men and women offering catered treatment to your needs. Client’s trust The One Hair & Nail Salon because we offer quality services using the best professional brand products to have you looking and feeling your very best. From hair services, to spa pampering, to professional nail care – The One in Milton is the place to go.. The One offers our guests the ultimate spa experience with luxurious services such as, massages, facials, manicures, and pedicures. Let go of your troubles and let our qualified aestheticians work their magic. You’ll leave feeling refreshed, relaxed, and revitalized. We also offer a full menu of waxing services, including face, arms, brows, legs, bikini, and more. Don’t be embarrassed by unsightly hairs – leave with smooth, silky skin. The One Hair & Nail Salon works hard to make everyone who comes through our doors feel special. We value your input, and are always happy to listen to feedback from guests. We want your spa and hair days to feel like a treat and strive to offer the very best services, products, and assistance to clients.